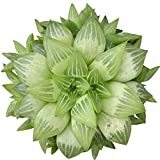 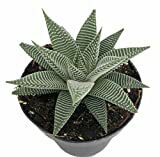 Haworthia viscosa growing succulent of the genus Haworthia, Haworthia viscosa perennial evergreen used as ornamental plant, can grow in subtropics, mediterranean, tropics climate or as houseplant and growing in hardiness zone 10+. 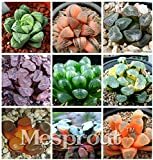 Leaves color green can be variegate in the color: pink, red, purple, yellow or orange, leaf in triangle shape with pointed top some cultivars have bumps on the leaves, leaves grow in rosette growth. 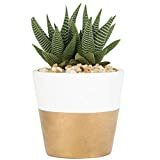 Flower color white with brown stripes, flowers with 6 petals and grow on stems. 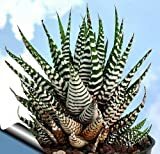 Haworthia Attenuata, Zebra Zebrina Exotic Rare Succulent Cactus Plant Cacti 2"
White flowers with brown stripes, flowers with 6 petals and grow on stems.